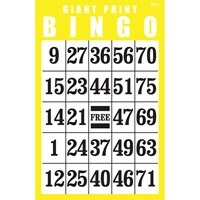 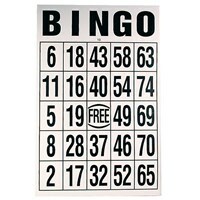 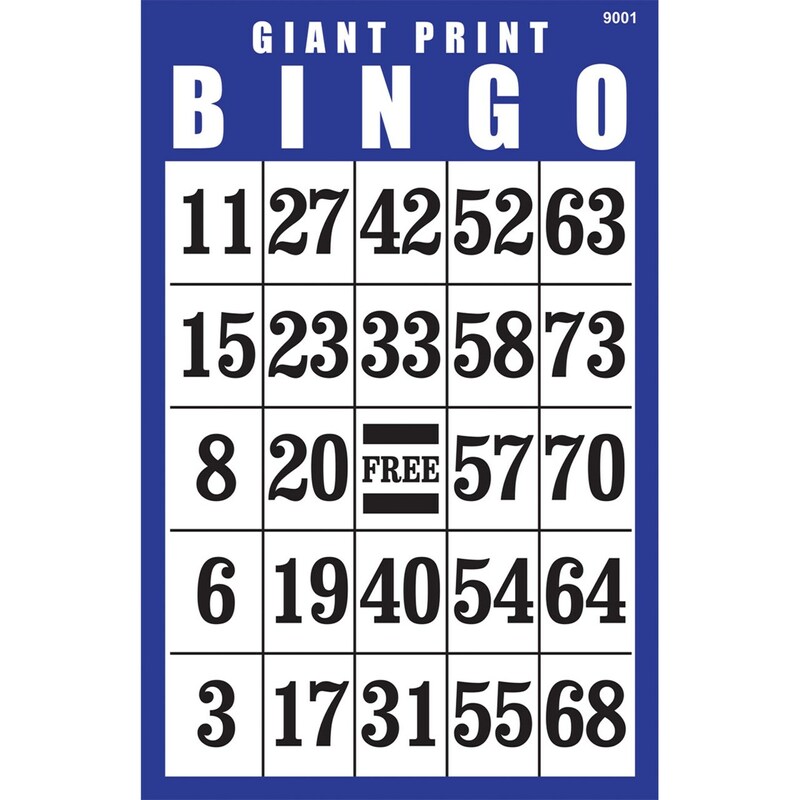 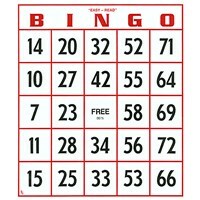 The faster you can see the numbers on your card, the faster you'll be shouting BINGO These Giant Print BINGO Cards were designed with the low vision BINGO enthusiast in mind. 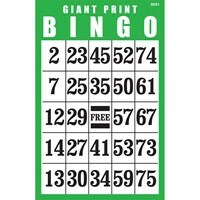 The oversized 11 x 17 cards feature bold black 1-3/8 high numbers that are easier to see than any other cards you'll find. 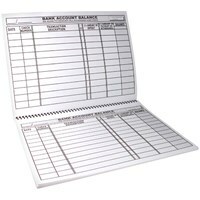 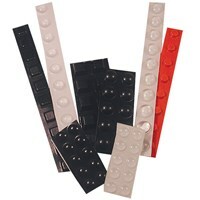 Made of durable heavy-duty card stock. 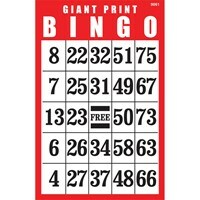 Grid printed in bold black ink. 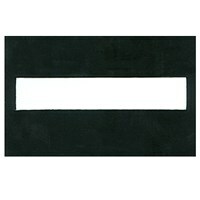 Border printed in blue. 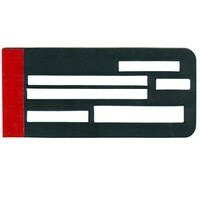 One card per pack.